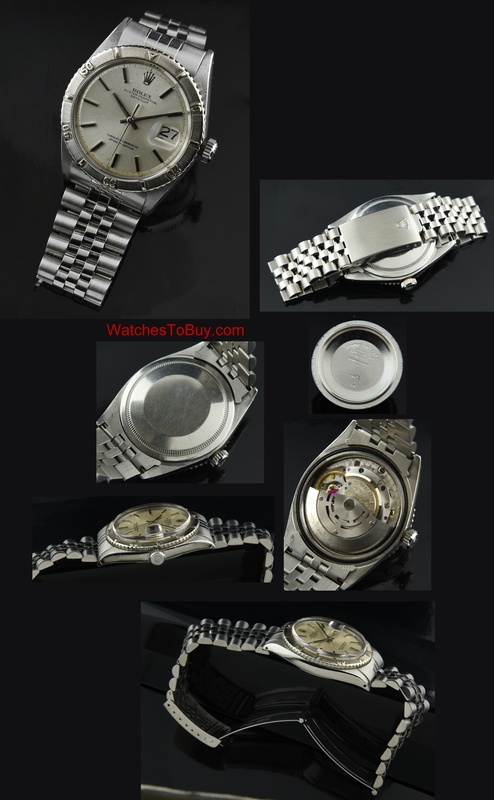 It is becoming hard to find these vintage ROLEX DATEJUST Thunderbird vintage watches. This is a highly sought after watch, having the rotating solid white gold “thunderbird” style bezel. This dial is original and does have age marks (this watch dates to 1971). With the naked eye, the dial really does look quite good, as my close-up photos accentuate the aging and blemishes on the dial. The handset is original. The 36mm. case has NOT been over-polished and does have its usual marks from age-again, with the naked eye, the case looks very good. 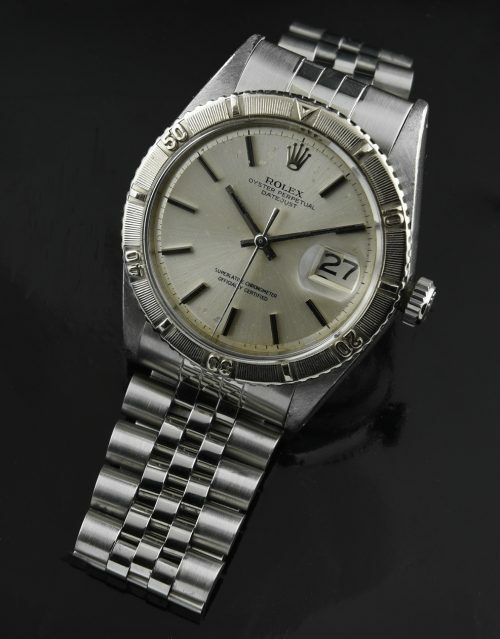 I’d rather see a vintage ROLEX such as this with its original “battle marks” than a polished-away case. The 62510H Rolex Jubilee bracelet with 555B end pices has minimal stretch and really displays fine condition-it was gently polished by our ROLEX trained watchmaker while he was cleaning the fine automatic caliber 1570 ROLEX movement (which is accurately keeping time). It’s time to grab this watch at a very reasonable price while you can. Most dealers are asking north of $4000. for these-and I will be next!